We have launched a brand new Medieval style fantasy Range that can be used for many types of games. There is two banner styles at the moment square and tail banners with more to come. We have 9 different factions that im sure many will love. 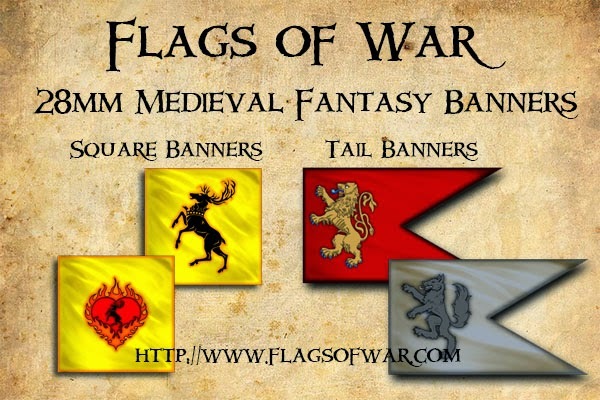 I will be using these flags for my own Fanatasy Saga games.